Smart/ Intelligent / efficient load distribution across different geographical area results in substantial improvement in the performance of applications which are hosted globally. It has monitors to keep track which server is unavailable and which is available in the load balancing cluster, so that unnecessary request should not go to server which is not available, hence meeting high availability. Traditional DNS server load balancing method like Round Robin doesn’t have mechanism to check the utilization or performance of the system. It keeps sending request to the severs regardless of their capacity to accept the connections. 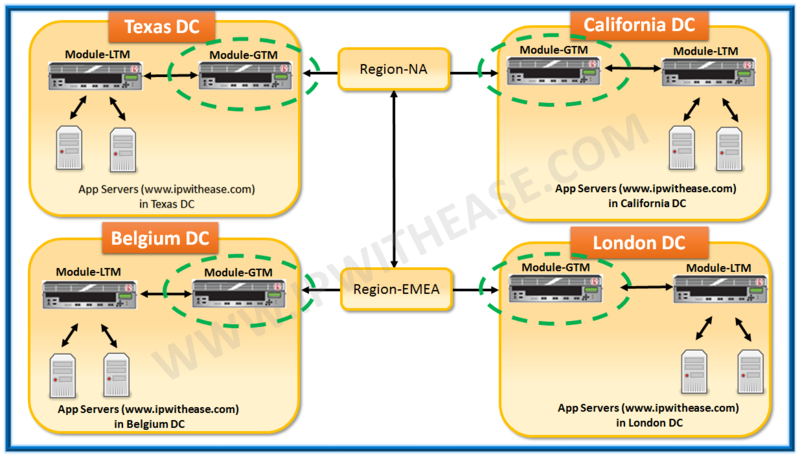 GTM addresses this shortcoming by employing dynamic load balancing method. GTM validates the entries in DNS and provide error free editing. GTM helps to protect DNS infrastructure from DDoS attacks, DNS Hijacking, cache poisoning, these are the common attacks/thread which the DNS server may have. In order to minimize these attacks/threads, GTM enables us to create policies that provide an additional layer of protection for the applications. DNS cache can be configured on the GTM module which helps to improve DNS latency by responding immediately to client requests with DNS caching, thereby reducing the number of DNS queries for the same site and henceforth reduces latency up to 80%. It allows device to do its own DNS resolution without requiring the use of upstream DNS resolver. GTM provides wider area persistence which ensures user connections persist across applications and datacenters. GTM maintains session integrity, synchronizes data and propagates local DNS.